Homes in Berkley Walk, one of Brentwoodes most innovative neighborhoods, provide the best of low-maintenance living with the quality and amenities Brentwood homeowners want and demand. This home at 9502 Coronet Lane is a great choice for a growing families or boomers looking to downsize from their big Brentwood home. 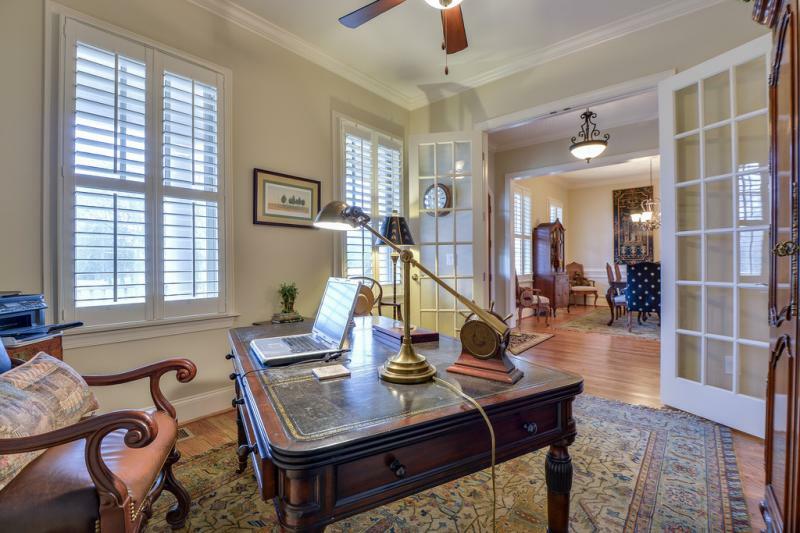 Homes in Berkley Walk, one of Brentwoodes most innovative neighborhoods, provide the best of low maintenance living with the quality and amenities Brentwood homeowners want and demand. This home at 9502 Coronet Lane is perfect for either a growing family or boomers looking to downsize from their big Brentwood home — without giving up the all the city has to offer. Built in 2010, the carriage-style home has enough room to give everyone their own space while still creating memories together. Its 3,821 square feet is spread over three stories with four bedrooms and four-and-a-half baths. 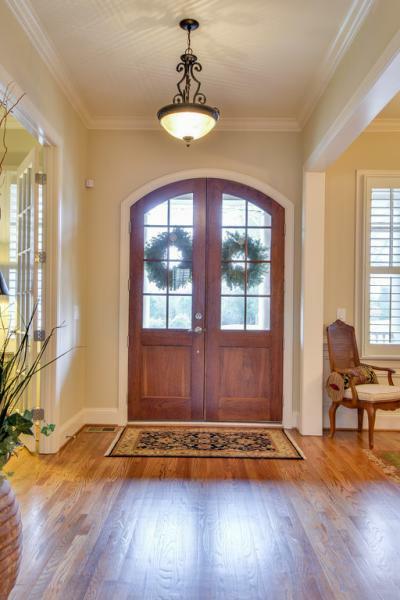 The symmetry of the centered walkway is visually appealing and the attention to detail is dazzling. 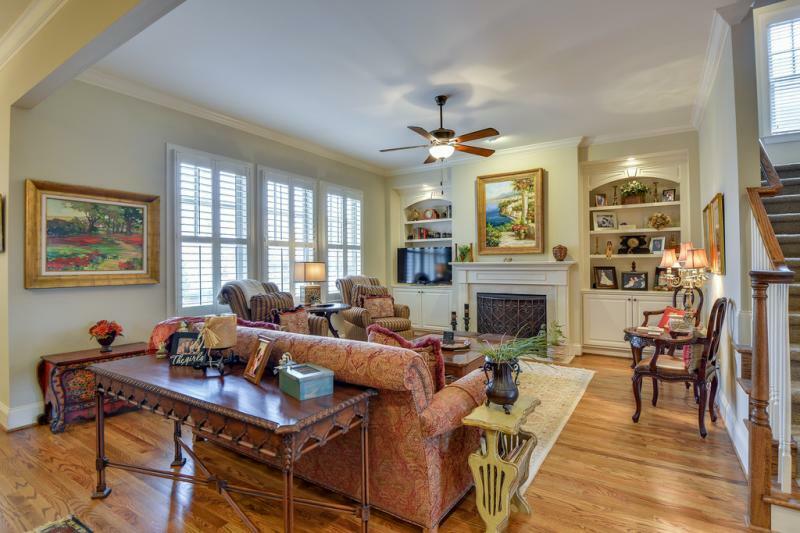 Beautiful hardwoods are found in all of the homees common areas and plantation shutters are on every window. The floor plan is open and flexible. 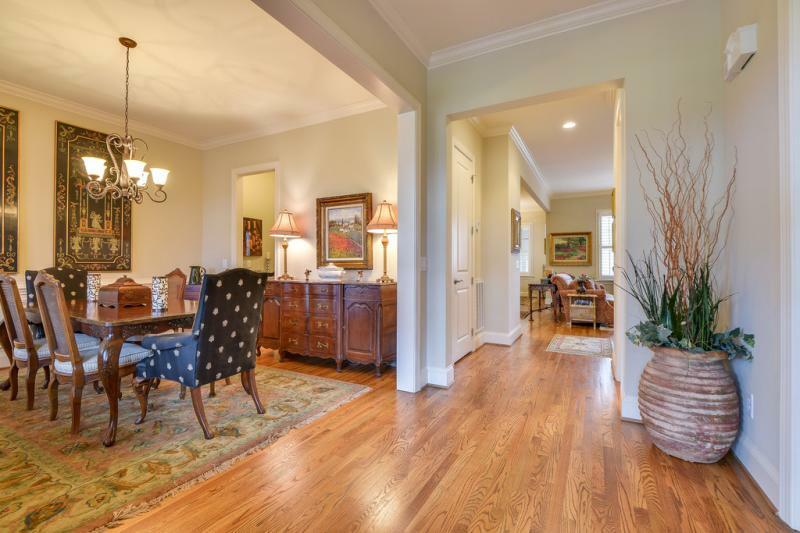 The foyer leads you to the dining room on one side, complete with wainscoting and a chandelier, and a private office with paned French doors and a full bath on the other. The kitchen will keep you coming back for more, and weere not just talking about cooking. The oversized island with granite top provides not only valuable work space but storage as well. The family of stainless steel appliances include a built-in oven and microwave,e a warming draw and a four-eye gas cooktop. The butler’s pantry is a plus for entertaining and extra storage, while the covered breezeway that connects the garage at the back of the house directly with the kitchen makes bringing in the groceries a breeze. 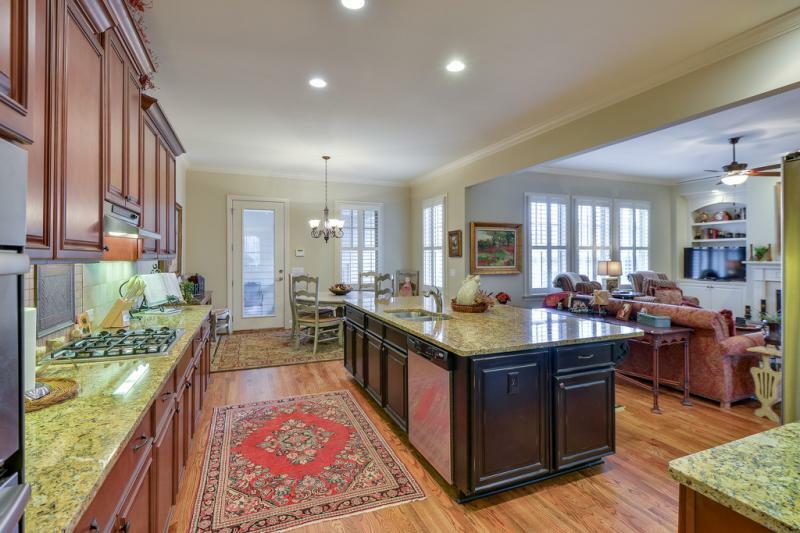 Because of how the kitchen flows into the living room, the entire area is perfect for entertaining. The living room has a gas-log fireplace and built-in bookshelves with storage below. The built-inse arched tops give the family room a classic look. The master suite has everything you need for a private getaway. 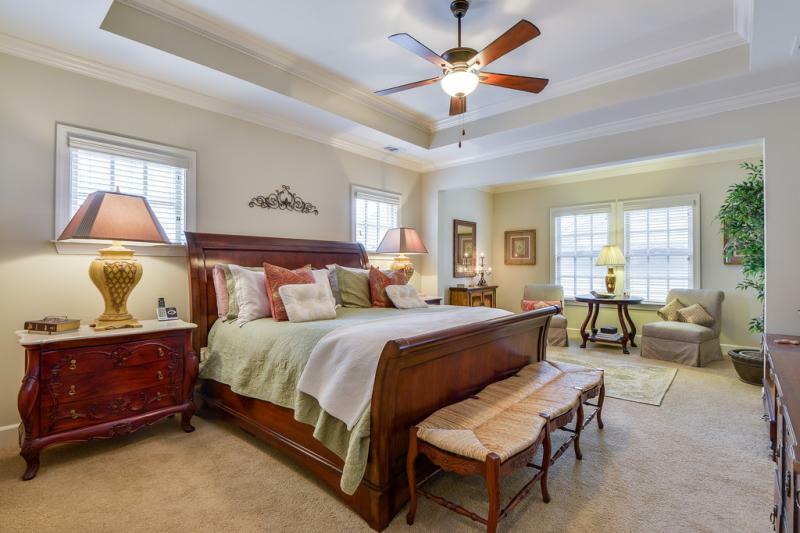 Its luxurious with its carpeted floors, trey ceiling, crown molding and private sitting room while the master bath offers as much or more as a haven for relaxation. 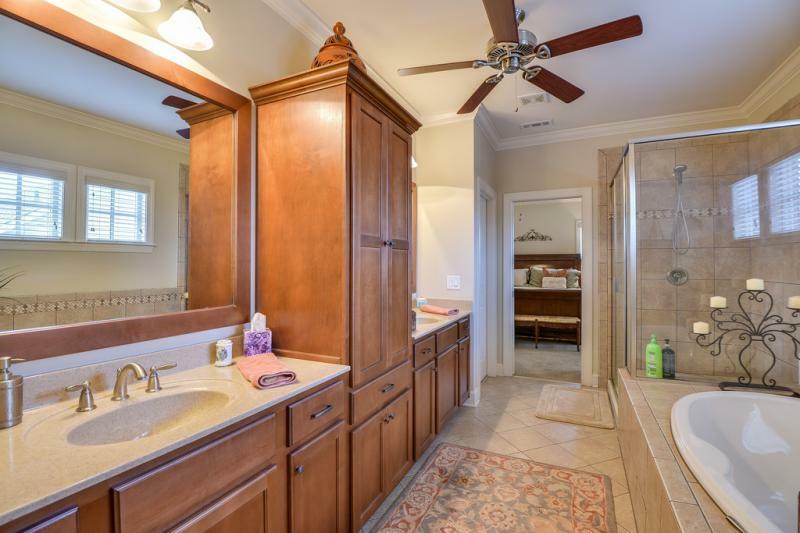 There are his-and-hers vanities and walk-in closets, and a garden tub and separate shower with glass enclosure. There are also plenty of cabinets for storage. Two additional second-floor bedrooms are connected with a Jack-and-Jill bath that has its own linen closet. 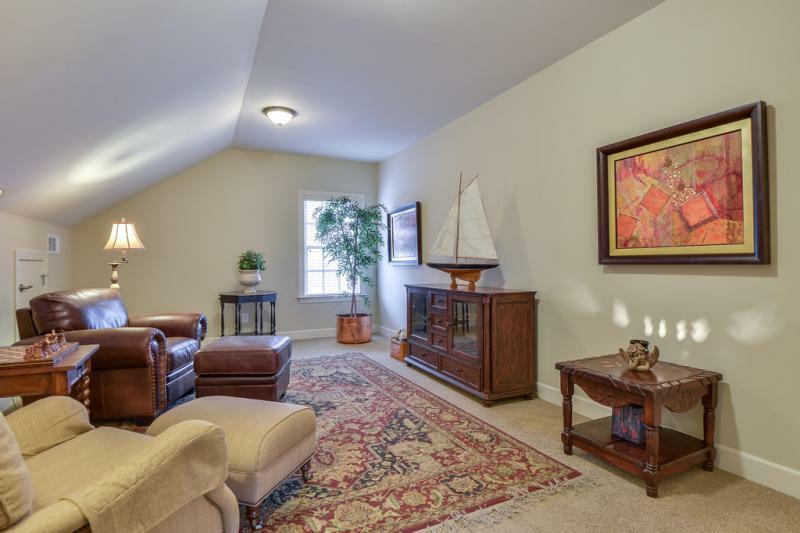 The third floor of the home features a carpeted rec room with access to storage and a half bath. 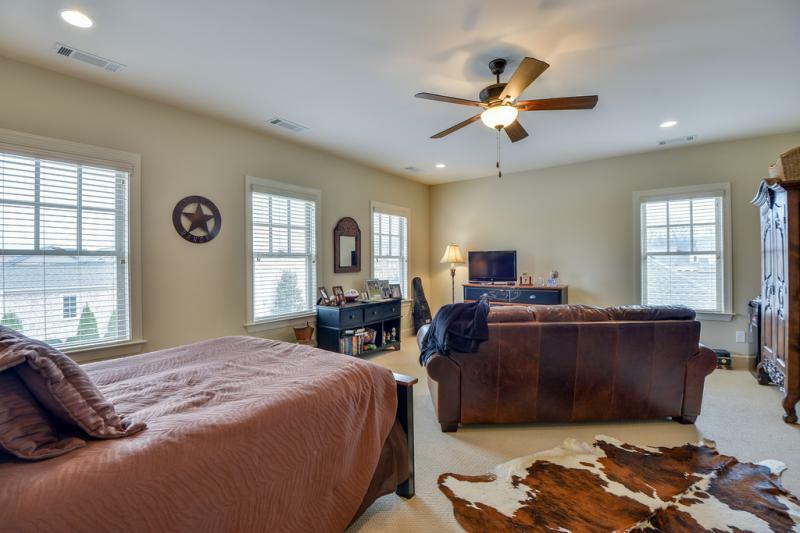 Additionally, this home has a large, private fourth bedroom that can easily be used as a teen or in-law suite.e It comes with its own full bath. 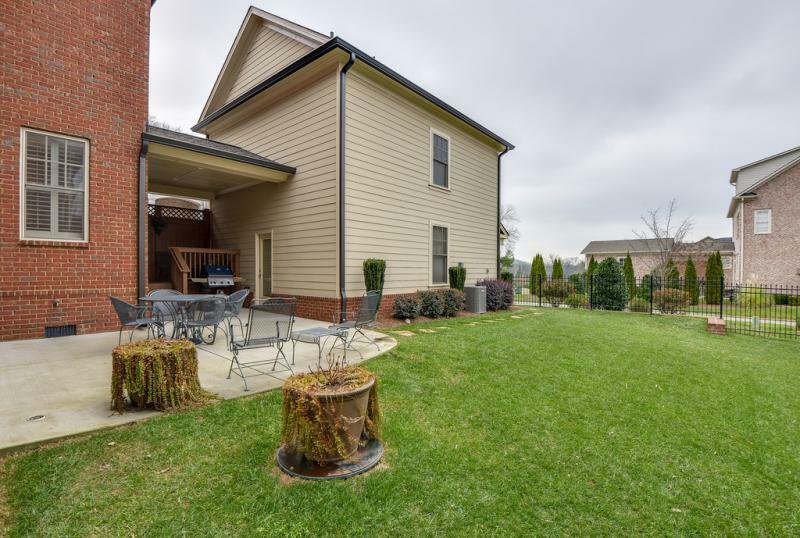 The backyard features a concrete patio great for grilling. The compact backyard is enclosed with a black iron fence. The driveway is in the rear of the home, so you can enter your two-car garage privately. Other amenities found in this $575,000 Berkley Walk beauty are a security system, zoned heating and air, and an irrigation system. The home is zoned for Edmondson Elementary, Brentwood Middle and Brentwoood High schools. Andy Beasley with Brentview Realty Company is selling this home. 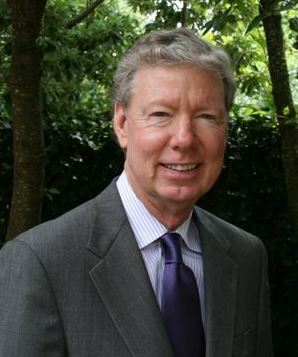 Call him at (615) 373-2814 to set up a showing today.